Our product range includes a wide range of 8 ports cyberoam firewall appliances, fortigate 100e firewall, check point 730 security gateway 1 year, check point 730 security gateway 3 year, check point 750 security gateway 1 year and check point 750 security gateway 3 year. 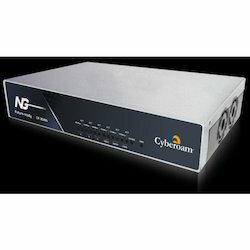 8 Ports Cyberoam Firewall Appliances NG series of Unified Threat Management appliances are the Next-Generation network security appliances that include UTM security features along with performance required for future networks. The NG series for SMEs are the “fastest UTMs” made for this segment. The best-in-class hardware along with software to match, enables the NG series to offer unmatched throughput speeds, compared to any other UTM appliance in this market segment. This assures support for future IT trends in organizations like high-speed Internet and rising number of devices in organizations – offering future-ready security to SMEs. 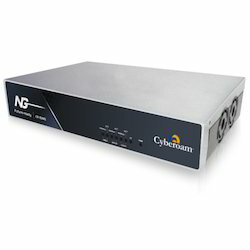 With Cyberoam NG series, businesses get assured Security, Connectivity and Productivity. The Layer 8 Technology treats User-Identity as the 8th Layer or the HUMAN layer in the protocol stack. It attaches User-Identity to security, which adds speed to an organization’s security by offering instant visibility into the source of attacks by username rather than only IP address. Cyberoam’s Extensible Security Architecture (ESA) supports feature enhancements that can be developed rapidly and deployed with minimum efforts, offering future-ready security to organizations. With cyber threats and high FortiGate 100E profile data breaches continuing to make headlines, organizations large and small understand the importance of increasing security, especially security of their networks. This means moving forward with projects to upgrade from traditional to next generation firewalls, as well as the addition of antimalware to web filters. Fortunately, Fortinet's midrange FortiGate appliances deliver 5 times the next generation performance of alternate products to enable midsize organizations to add new, top-rated security technologies yet still consolidate security devices. Specifically, this breakthrough performance allows most organizations to combine stateful firewall with intrusion prevention and application control, plus have room to add web filtering and antimalware all on one device. As a result, you get increased security beyond the traditional stateful firewall and web filter while removing one or more web proxies from your environment. Further, rich dashboards and reporting deliver the visibility and control you expect from a next generation firewall. FortiOS provides high performance, ultra low latency multi-threat security by leveraging the hardware acceleration provided by purposebuilt FortiASIC processors. This combination of custom hardware and software gives you the best security and performance possible from a single device. FortiOS allows greater traffic visibility and more consistent, granular control over users, applications and sensitive data. Powered by FortiASICs than deliver industry best price/performance. Runs FortiOS 5 - the most powerful security operating system in the world delivers more security to fight advanced threats, more control to secure mobile devices, and more intelligence to build secure policies. 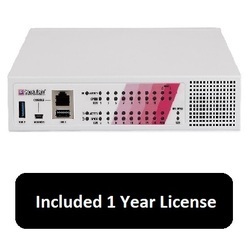 Check Point 700 Series Next Generation Firewalls are high performance, integrated devices offering firewall, VPN, antivirus, application visibility and control, URL filtering, email security and SandBlast Zero-Day Protection, all in a compact form factor that is simple to configure and manage. We are offering Cyberoam 35ing Firewall Appliances. Provides complete visibility into various threats and performance inhibitors allowing organization to make informed and proactive security measure. Threat Management incorporates an ICSA certified firewall, Application Filtering, BYOD Policy management, VPN, URL Filtering, Gateway Antivirus, Intrusion Prevention System and Performance Management has Traffic Analysis, Network behavior analysis, Policy based ISP Failover and Load Balancing as well as Bandwidth Management. 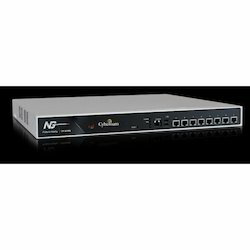 GajShield GS15nu is ideal for small organisations or branch offices and is based on the same technology and architecture as all of our next generation firewalls. The form factor is sized for desktop deployments. GS15nu firewall supports High Availability with Active-Active and Active-Passive HA. It can also be easily managed using GajShield's Centralised Firewall Management System. GajShield GS15nu enables you to provide context based firewall security with application visibility and control. GS15nu is ICSA Labs certified and provides state of the art security for small enterprises too. Taking quality as our prime concern, we are engaged in offering Cyberoam CR200ing Firewall Appliances. Our offered device greatly enhances wireless range and is developed in compliance with the industry set norms and guidelines. Assures support for future IT trends, our offered device is offered at industry leading prices. Supported by a team of diligent professionals, we have been able to offer Cyberoam Firewall Appliances. The Fortinet Firewall FortiGate/FortiWiFi-30D Series is ideal for small businesses, small branch offices and retail outlets requiring the security functions of larger FortiGate devices in a small, compact form factor. These appliances deliver enterprise-grade network security and performance at an attractive, entry-level price. FortiGate/FortiWiFi-30D Series appliances combine FortiOS™, the industry’s leading network security operating system, with the Fortinet System on a Chip (SoC) purpose-built processor. Designed by Fortinet to provide real-time network protection, the SoC integrates FortiASIC security acceleration logic with a RISC- based main processor and other system components. This simplifies appliance design, delivers breakthrough performance, and unmatched security feature. Provides complete visibility into various threats and performance inhibitors allowing organization to make informed and proactive security measure. Threat Management incorporates an ICSA certified firewall, Context based Data Leak Prevention System, Application Filtering, BYOD Policy management, VPN, URL Filtering, Gateway Antivirus, Intrusion Prevention System and Performance Management has Traffic Analysis, Network behavior analysis, Policy based ISP Failover and Load Balancing as well as Bandwidth Management. 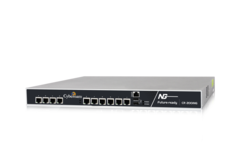 GajShield GS20nu is ideal for small organisations or branch offices and is based on the same technology and architecture as all of our next generation firewalls. The form factor is sized for desktop deployments. GS20nu firewall supports High Availability with Active-Active and Active-Passive HA. It can also be easily managed using GajShield's Centralised Firewall Management System. GajShield GS20nu enables you to provide context based firewall security with application visibility, control and data leak prevention system. GS20nu is ICSA Labs certified and provides state of the art security for small enterprises too. Gained prominence in the industry as a trader, we are engaged in offering Fortigate 60E Fortiwifi Firewall Series. Provides threat protection, VPN and web filtering, our offered equipment is sourced from authentic vendors of the industry. Also, owing to its protection against various threats, our offered product is acknowledged across the nation. With the firm commitment towards quality, we are engaged in offering Fortigate FG100E Firewall Appliances. Extensively demanded in branch offices, and small distributed enterprises, our offered system is designed by our vendors keeping in mind latest technological advancements. Post-production, these systems are checked thoroughly to ensure flawlessness. The Fortigate 30E Firewall Appliances is ideal for small businesses, small branch offices and retail outlets requiring the security functions of larger FortiGate Firewall devices in a small, compact form factor. These appliances deliver enterprise-grade network security and performance at an attractive, entry-level price. FortiGate/FortiWiFi-30E Firewall Series appliances combine FortiOS™, the industry’s leading network security operating system, with the Fortinet System on a Chip (SoC) purpose-built processor. Designed by Fortinet to provide real-time network protection, the SoC integrates FortiASIC security acceleration logic with a RISCbased main processor and other system components. This simplifies appliance design, delivers breakthrough performance, and unmatched security. We are engaged in offering 22 Ports Fortinet Firewall Appliances to our esteemed customers. The offered appliance is designed and developed for providing various threats and performance inhibitors in an organization. In addition, this provides gateway security against various internal and external threats to an organization. 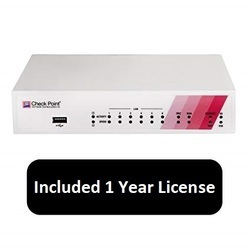 We are offering Cyberoam CR15iNG Firewall Appliances. The Fortinet Firewall Appliances 60, 80, and 90 series are compact, all-in-one Network Security Appliances that deliver Fortinet’s Connected UTM solution. Ideal for remote locations, customer premise equipment (CPE) and retail or healthcare networks, the FortiGate/FortiWiFi-60, 80 and 90 series appliances offer the network security, connectivity and performance you need. With Connected UTM you get a single device that integrates comprehensive enterprise-grade protection with a broad range of Wired and Wireless connectivity options. It enables you to deploy a high-performance, highly secure remote infrastructure with one appliance that’s easy to set up and centrally manage. The Fortinet Firewall Appliances FortiGate/FortiWiFi-40C Series are compact, all-in-one security appliances that deliver Fortinet’s Connected UTM. Ideal for home offices, small businesses, small branch offices and retail outlets, these appliances offer the network security, connectivity and performance you need at an attractive, entry-level price. Consolidated Security Solutions FortiGate/FortiWiFi-40C Series appliances include all of Fortinet’s unified threat management (UTM) capabilities including firewall, IPS, application control, VPN, and web filtering–all managed from a “single pane of glass” console. They also include the latest technology in advanced threat protection, designed to defend against Advanced Persistent Threats (APT). The optional FortiGuard® security subscription services deliver dynamic, automated updates and ensure up-to-date protection against sophisticated threats.Uses FortiOS Lite, a streamlined, easy-to-use version of the world’s only purpose- built network security operating system, and the FortiASIC “System on a Chip” (SoC), Fortinet’s custom ASIC technology, to ensure the most comprehensive and highest performing security platformsBy consolidating multiple security technologies into a single appliance, the FortiGate/ FortiWiFi-40C Series eliminates multiple hardware devices and software solutions to simplify security and reduce the total cost of ownership. With customization options, you can configure the device to implement all or only the security technologies you need.With the widest range of security enforcement technologies in its class, the FortiGate/ FortiWiFi-40C Series helps you maintain data protection compliance with PCI, HIPAA, and GLBA regulations. FortiGate/FortiWiFi-40C Series are compact, all-in-one security appliances that deliver Fortinet’s Connected UTM. Ideal for home offices, small businesses, small branch offices and retail outlets, these appliances offer the network security, connectivity and performance you need at an attractive, entry-level price. Consolidated Security Solutions FortiGate/FortiWiFi-40C Series appliances include all of Fortinet’s unified threat management (UTM) capabilities including firewall, IPS, application control, VPN, and web filtering–all managed from a “single pane of glass” console. They also include the latest technology in advanced threat protection, designed to defend against Advanced Persistent Threats (APT). The optional FortiGuard® security subscription services deliver dynamic, automated updates and ensure up-to-date protection against sophisticated threats.Uses FortiOS Lite, a streamlined, easy-to-use version of the world’s only purpose- built network security operating system, and the FortiASIC “System on a Chip” (SoC), Fortinet’s custom ASIC technology, to ensure the most comprehensive and highest performing security platformsBy consolidating multiple security technologies into a single appliance, the FortiGate/ FortiWiFi-40C Series eliminates multiple hardware devices and software solutions to simplify security and reduce the total cost of ownership. With customization options, you can configure the device to implement all or only the security technologies you need.With the widest range of security enforcement technologies in its class, the FortiGate/ FortiWiFi-40C Series helps you maintain data protection compliance with PCI, HIPAA, and GLBA regulations. Ours is an eminent organization, which is engaged in trading Fortinet WiFi Firewall Service. Offers superior network security and connectivity, these systems are widely demanded for homes, offices and retail outlets. Designed to perfection, these systems defend against various threats and offers dynamic and automated updates.